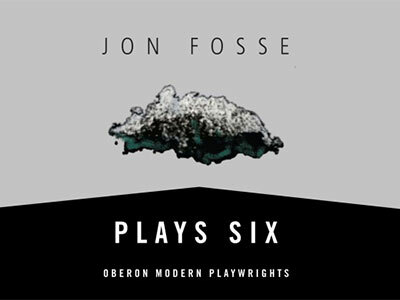 On Friday 5th April at the Norwegian Embassy - a rehearsed reading of Jon Fosse’s play Sea. Le Monde called Fosse ‘the Beckett of the 21st century' - Sea brings together a group of people, lost in limbo, trying to make sense of their relationships, purpose and very existence. The performance before an invited audience, attended by the Norwegian ambassador, was directed by Simon Usher. Paul played The Older Man. Holby City, award winning medical drama which premiered in January 1999, is now well into it’s 21st series and Paul has just completed his involvement in episode 24 - written by Joe Ainsworth and directed by Jermain Julien. Paul plays Roger Keelan. 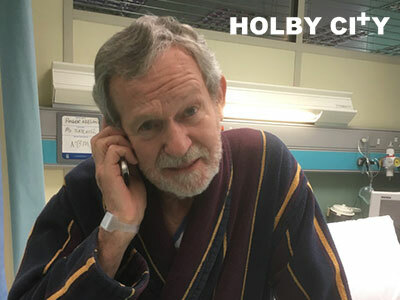 Life becomes increasingly complicated for him and his wife June (Frances Jeater) when he is admitted to Holby City Hospital. The episode airs on 11th June 2019. 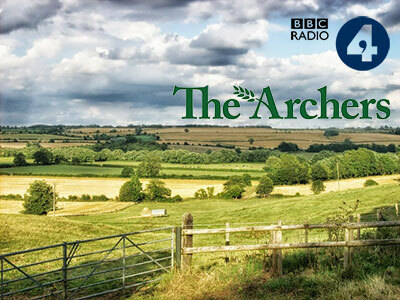 A new character is set to appear in Radio 4’s ’ The Archers’. This hugely popular radio soap opera commenced broadcasting in 1951and is the world’s longest running drama. It is recorded in BBC’s Birmingham studios and is edited by Jeremy Howe. Leonard Berry, the new character, will be played by Paul who is already a keen follower of the programme. He makes his first appearance in the episode to be broadcast on 7th February. Looking forward to 2019 - Tom Wrigglesworth is set to return to BBC Radio 4 with a new series of “Hang-Ups” caused by his wayward family in Sheffield - Paul plays Tom’s father. 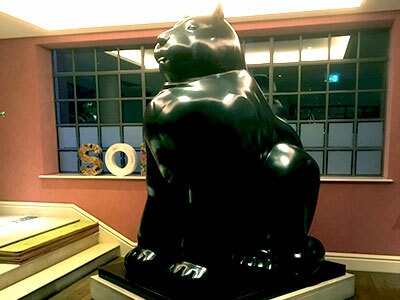 The preview was held in a state-of-the art screening room at The Soho Hotel in London's West End - the lobby there sports this 10ft bronze cat by sculptor Fernando Botero. Emmerdale - ITV 1 Wednesday 26th Sept 7pm - rptd. ITV 2 8am Thurs 27th. Paul plays Obadiah Dingle - neglectful father of Charity who he hasn’t seen for over twenty years. Sparks fly when Charity decides to visit and confront Obadiah who is, amongst other things, a recovering alcoholic. Series 8 of Doc Martin is currently being repeated Fridays at 9pm on ITV1. Friday 24th August brings up the re-run of episode 5 - “From the Mouths of Babes” - in which Paul plays the myopic Walter O’Donnell, would-be artist of the St Ives school, given to ‘blinkered’ self-promotion and seen here in the make-up chair with enhanced eye-baggage! 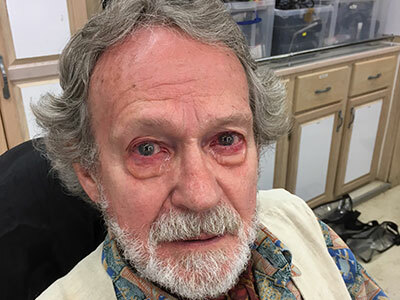 Prosthetic eye bags and eye reddener were used for Paul's character who suffers with Uveitis. 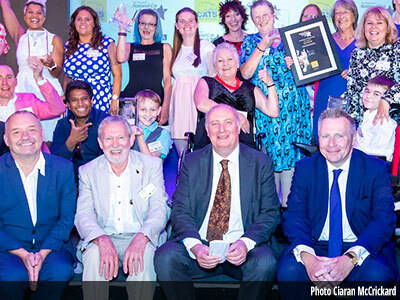 Cats Protection's National Cat Awards 2018 - now an annual event - was held at the Savoy Hotel on Thursday 2nd August sponsored once again by Purina. Linda Upson, chairman of the trustees, welcomed the owners of the cats nominated in five cat-egories that celebrate the special qualities of cats and the unique bond they share with their owners. Paul was on the panel of judges for the overall winner - National Cat of the Year. 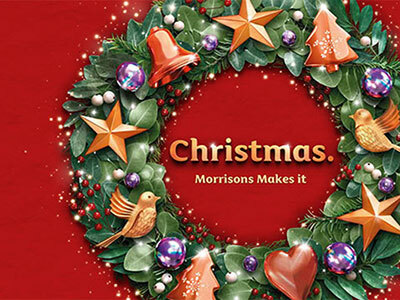 Fellow judges included Chizzy Akudolu, Deborah Meaden, Bob Mortimer, Andrew Collins, Peter Egan and Rick Wakeman. Master of Ceremonies was Alan Dedicoat. Paul is proud to support the exceptional work of Cats Protection. 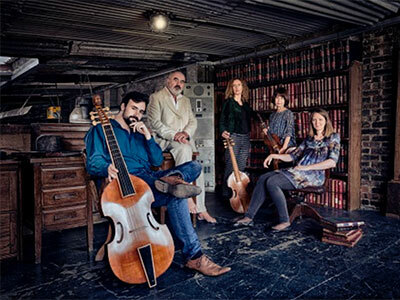 On Sunday 22nd July at the Helmsley Arts Centre as part of the Ryedale Music Festival, a further performance by Fretwork -“the finest viol consort on the planet" (Evening Standard) of composer Orlando Gough’s The World Encompassed - Paul narrating. A week long workshop completed on Friday 25th May for a new play by Alexander Zeldin with the working title Faith, Hope and Charity. 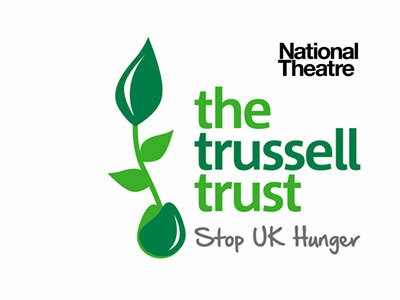 The action takes place in a community centre/food bank serving a wide community of people in need of food/solace/comfort. Paul participated in the workshop exploring the part of Bernard. Currently re-running on BBC Radio 4 extra - ‘King Street Junior’ series 9 in which Paul wrote episode 3 ‘A Bridge to Afar’ with guests Ronald Hines and John Hollis, and episode 7 ‘Financial Times’ with guests Tilly Vosburgh and Danny Webb. A comedy/drama set in a London junior school, KSJ ran between 1985 and 1998. The follow-up series ‘King Street Junior Revisited’ ran from 2002 to 2005. 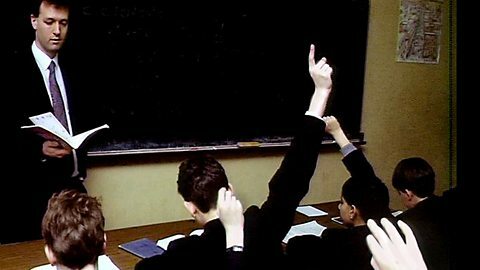 Paul played teacher Mr Long in this long running series created by Jim Eldridge who also wrote the vast majority of the episodes. Paul wrote 4 episodes during series 8,9 & 10. 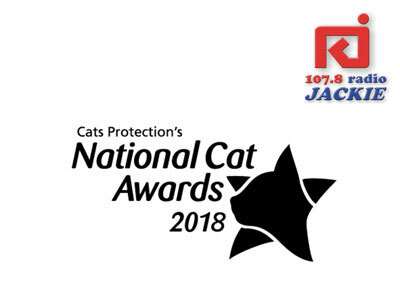 Cats Protection's National Cat Awards 2018 - entries are now open. Now in its tenth year, the National Cat Awards celebrate the difference cats make to our lives by highlighting heart-warming stories of devotion, companionship and courage. Paul who has been judging the entries for the awards for several years was chatting recently to Radio Jackie's Simone Halfin. 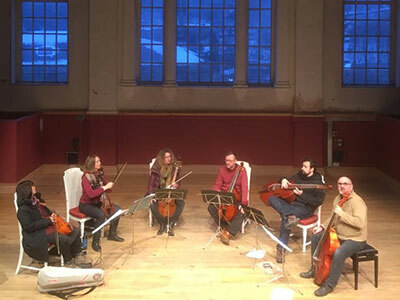 On Friday 2nd March at Square Chapel Arts Centre, Halifax, as part of the Halifax Philharmonic Club’s 73rd season, Fretwork performed “The World Encompassed” – composer Orlando Gough – Paul narrating. Fretwork – “the finest viol consort on the planet” (Evening Standard) – commissioned Orlando Gough to recreate in music Sir Francis Drake’s epic circumnavigation of the Globe Nov 1577 to Sept 1580. Drake took with him a viol consort of four players as cultural diplomats and to accompany prayers as well as providing entertainment for the ship’s company and their occasional guests along the way. Emily Ashton, Asako Morikawa, Joanna Levine, David Hatcher, Sam Stadlen and leader Richard Boothby make up the viol consort - Fretwork. The music is inspired by events and ports of call during this remarkable feat of navigation and the narration derives largely from descriptions in ‘The World Encompassed’, Drake’s nephew’s account of the voyage. Square Chapel is adjacent to the newly renovated Grade I listed Piece Hall dating from 1779, sole survivor of the great northern cloth halls for the trading of ‘pieces’ of cloth. Block 2 of the shoot for ‘Thousand Yesterdays’ took place on location in the Elham Valley near Folkestone, Kent - 22nd to 24th Feb.
Paul, playing the elder Charlie Rainbird, completed his contribution to the filming of this poignant and atmospheric tale on the first day of this Block. Tim Innes plays the younger Charlie R embroiled in trench warfare. 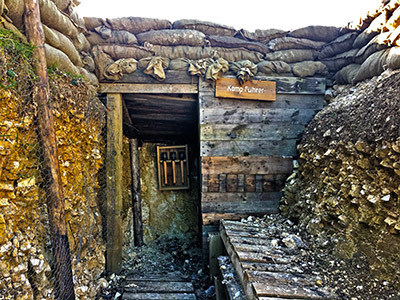 The remarkable set - an impressive system of trenches dug and dressed with meticulous attention to detail to replicate a WWI battlefield - seems certain to lend gritty authenticity and chilling atmosphere to the sequences filmed here. Impossible not to admire the skill and dedication of everyone involved in this production. Trench image courtesy of Bex Palmer. 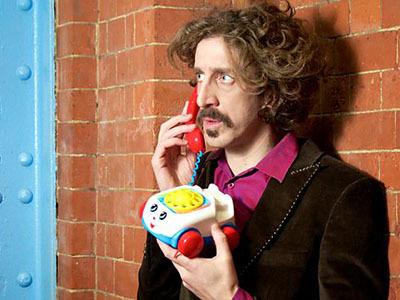 Tom Wrigglesworth phones home for his weekly check-in, giving listeners a glimpse into his family background and the influences that have shaped his temperament, opinions and hang-ups. Series 3 is currently being repeated on BBC Radio 4. Paul plays Dad (Richard Wrigglesworth).